Inspired by the classic Australian shed, Mt Ida (eco) Cabin is made (almost) entirely from recycled materials. It’s the second lodging built by Cally and Stephen Trompp, who moved to this homestead property in 2009. It’s the kind of place where you’ll want to retire earlier than necessary in the evening – collect a few bottles of wine at cellar doors throughout the day, light the fire and rug up among the plush blankets to watch the sunset. 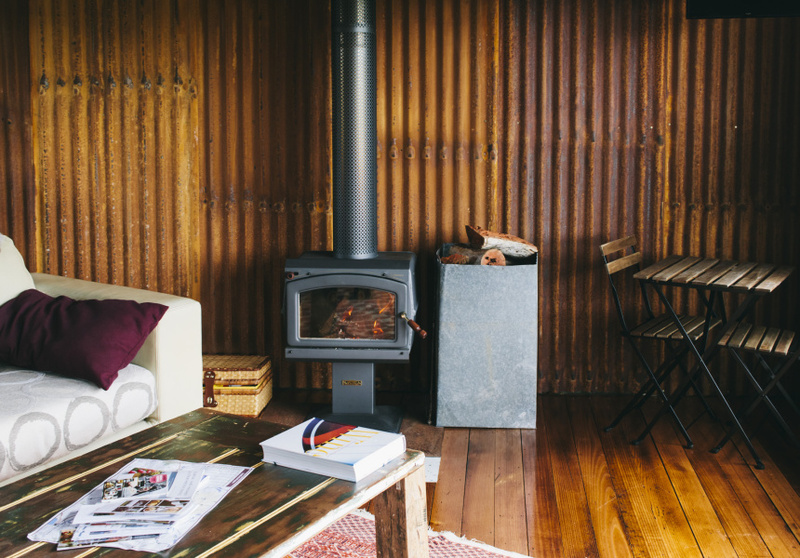 The cabin keeps particularly toasty with the fire going – though you may need to set an alarm to pop an extra log on during the night. The one-bed cabin runs completely off-grid, with the essentials powered by the solar panels on the roof. There are no power points (only a USB port) and no wi-fi, air conditioning or dishwasher. 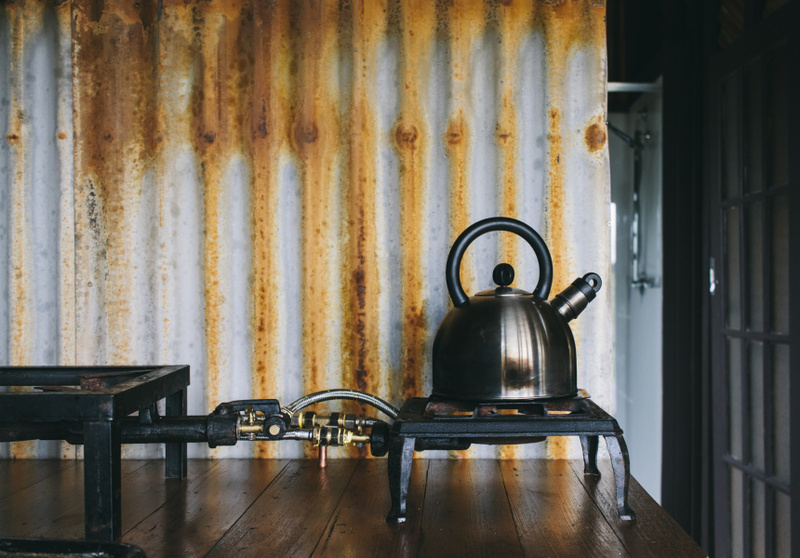 The sink, mind you, is one of those beautiful deep concrete troughs, while the gas cooker and camping kettle will ensure your morning coffee is executed at the slow pace you’re hopefully embodying by then. 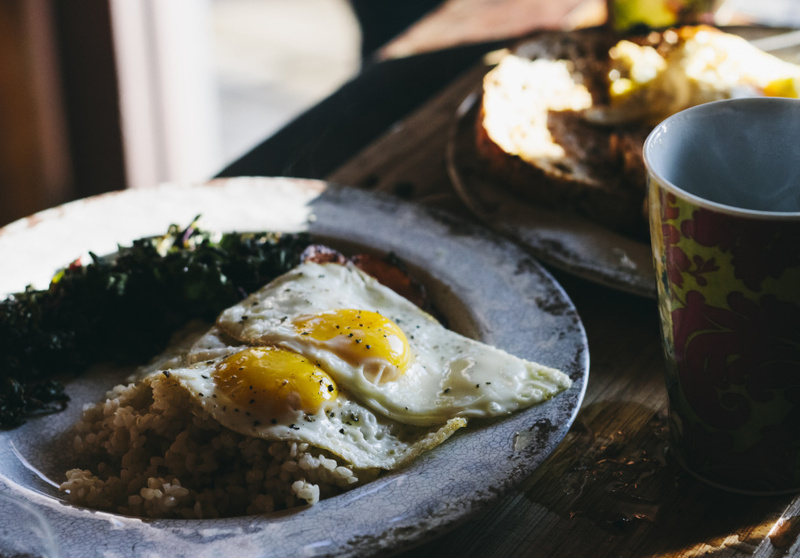 Bacon, eggs, bread, butter, coffee and milk are among your breakfast provisions, which you can cook up and enjoy on the deck overlooking the surrounding 15 acres of farmland. The cabin has a bar fridge, a composting toilet and a modern bathroom which uses solar-heated rainwater. Bikes are on hand in case the O’Keefe Rail Trail is part of your Heathcote itinerary.